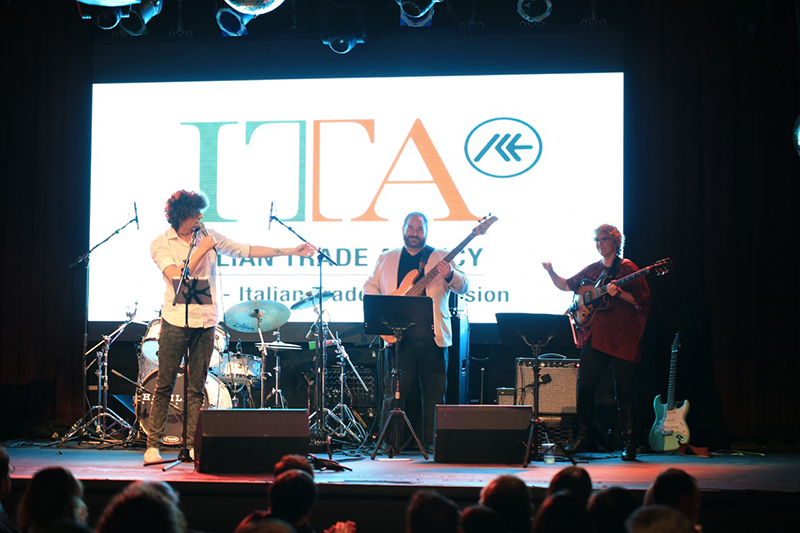 DOMENICA 1 GIUGNO, alle ore 19.00, all’ HIGHLINE BALLROOM DI NEW YORK il batterista rivelazione del jazz italiano e internazionale Gianluca Pellerito ed il suo quintet in concerto nella Cerimonia di premiazione dell’Italian Brand Ambassador 2014. L’Award assegnato dal Ministero dello Sviluppo Economico e dall’Istituto Commercio Estero, è il riconoscimento conferito al personaggio non italiano che con la sua lungimiranza, passione per l’Italia e capacita’ contribuisce a dare forza al Made in Italy. 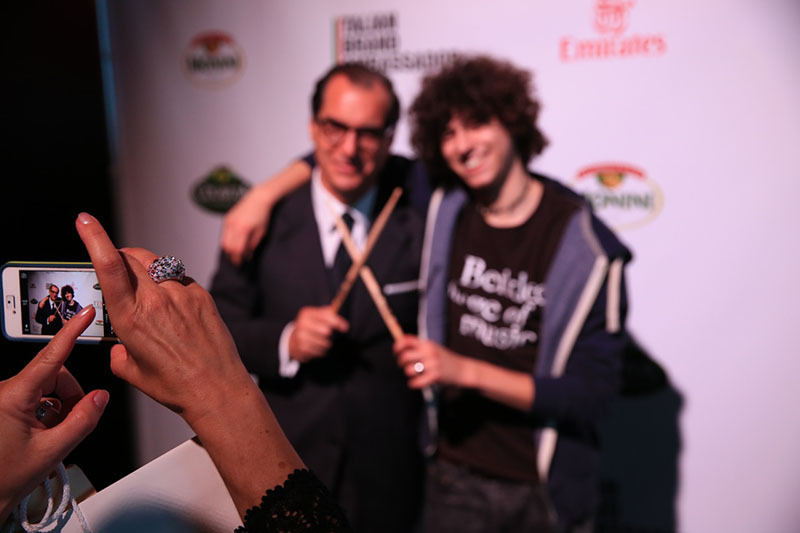 Gianluca Pellerito, non è nuovo a grandi momenti e a grandi platee, avendo esordito a 8 anni a Umbria Jazz, a 14 anni è stato il più giovane musicista al mondo a suonare al Blue Note, appena quindicenne si è esibito per il Sindaco Bloomberg, a 16 anni al Kennedy Center di Washington su invito della famiglia Kennedy, nel 2012 con il suo quintet a Londra per i Giochi Olimpici, fino all’apertura nel 2013 di Umbria Jazz. 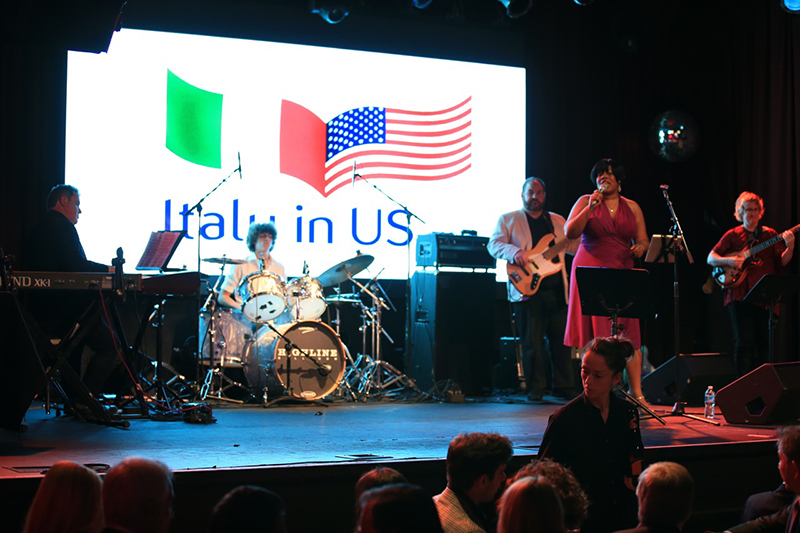 Sul palco del prestigioso jazz club newyorkese, insieme al giovane talento, saliranno quattro stelle del jazz internazionale: Karen Marie , alla voce, Sheryl Bailey , alla chitarra, Michael Eckroth , al piano, e Marco Panascia, al basso. He’s been twirling the drumsticks between his fingers since he was two years old, and today his extraordinary talent is already well-known in the international jazz circuit. He has played with the biggest names of the international jazz world. 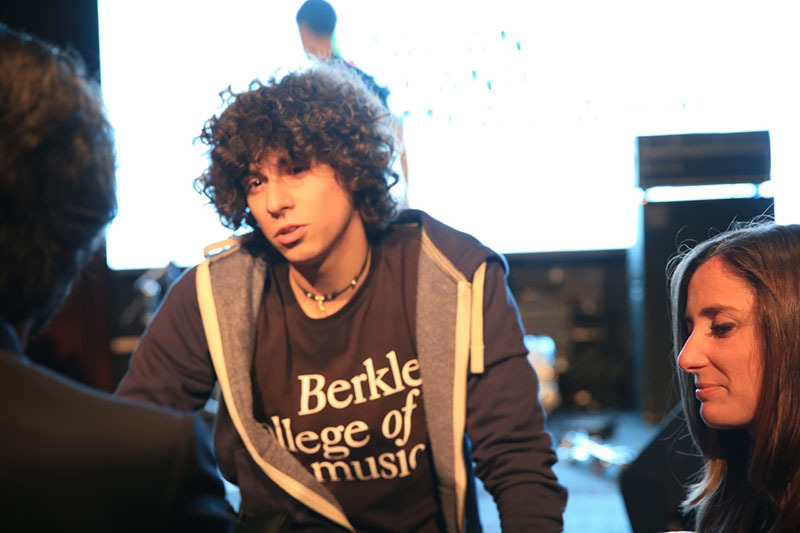 At just 18 years of age, Gianluca Pellerito is a star of the worldwide jazz scene. He has two highly prestigious American tours under his belt and is the only Italian to have played at the Kennedy Center in Washington by express request of the Kennedy family. He made a prestigious appearance at the London Jazz Party in December 2011 with his quartet, and was a big hit with audience and critics at the European Jazz Expo 2011, not to mention the splash he made at Milan’s Blue Note with his Quintet. He was a special guest at the Incognito concert in July 2011 for the Funky Jazz Night at the Teatro di Verdura theater in Palermo and in January 2012 at the Blue Note in Milan. 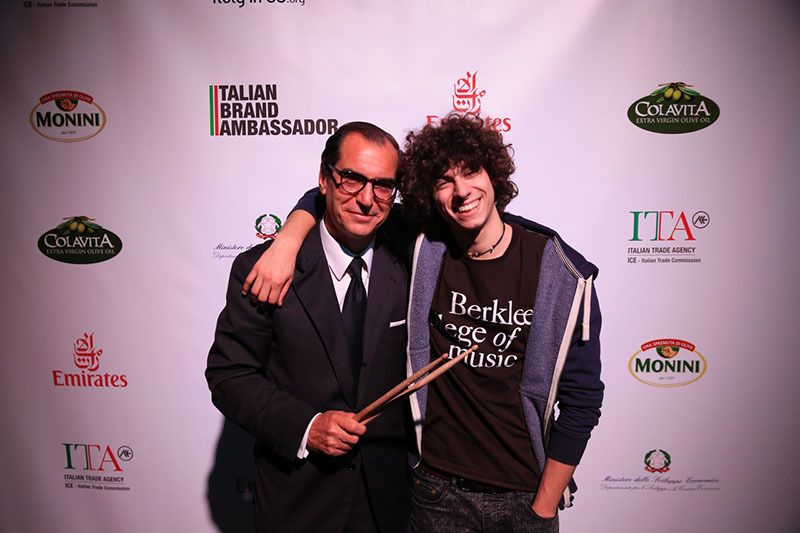 Gianluca Pellerito is a worldwide spokesperson for Italian jazz music. He is a formidable talent destined to leave his mark in the history of the world’s best drummers. His first CD, Three Drums Show was produced by The Brass Group and features him together with Peter Erskine and Alex Acuña, two of the greatest drummers of all time, as well as the great orchestra of The Brass Group Foundation. Gianluca Pellerito and his quintet have their next album recording job in December of 2012. Umbria Jazz Winter will be the extraordinary setting of the new live recorded CD for Gianluca Pellerito. Dedicated to Herbie Hancock, it is a very special tribute that marks several contemporaneous anniversaries in 2012: fifty years from Herbie Hancock’s first album, Gianluca Pellerito’s eighteenth birthday and his tenth year of participation at Umbria Jazz. The year 2012 marks the beginning of the adventure London Gianluca Pellerito, an important year that brings him into contact with the great British musicians, an increasingly important role in the international jazz scene. In August, Gianluca Pellerito and his Quintet take part in the grand spectacle of the 2012 London Olympics with a series of concerts dedicated to athletes and institutions. 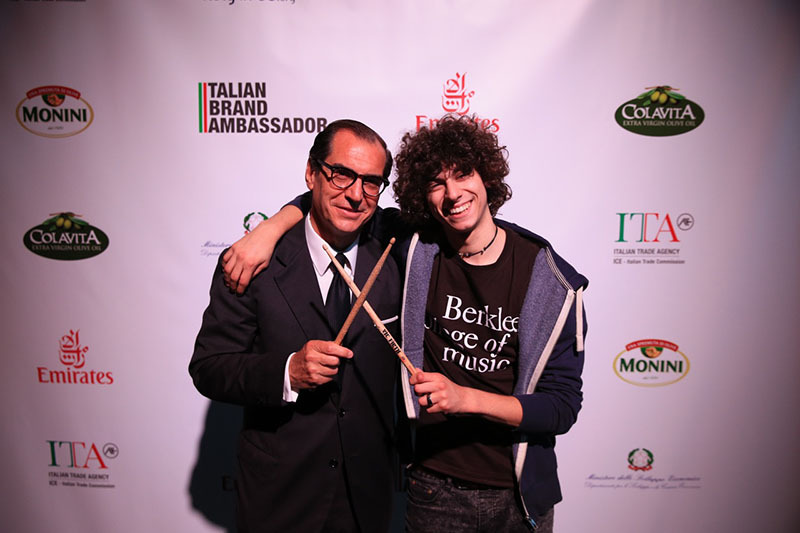 Also in London, in September 2012, the cultural ambassador in London appointed him ambassador of Italian jazz in the UK. In December 2012 Gianluca with his quintet recorded his new album “Jazz My Way” Herbie Hancock tribute to Umbria Jazz Winter. 2014 concert in Blue Note, Casa del Jazz Roma and Brasil in September, Boston and Washigton in October.